"I think it’s really positive for the young people we work with to see an organisation like Scotmid commit to enabling them to have a good future and to be valued by their local community." 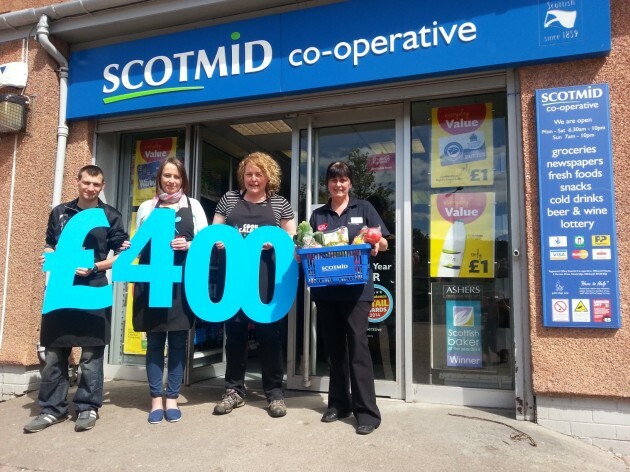 A Highlands charity that helps young people who are at risk of homelessness or unemployment has received new support from Scotmid Co-operative. The Calman Trust has been awarded £400 as part of Scotmid’s community grant scheme, which will be used to run cooking classes and buy ingredients. The classes will teach young people essential cooking and kitchen skills, as well as how to prepare healthy meals on a budget. Scotmid’s donation will also be used by the students to shop for ingredients so they can try out their new cooking skills at home. The Calman Trust currently works with more than 400 young people in the Highlands, where food and energy costs are considerably higher than the rest of the UK.